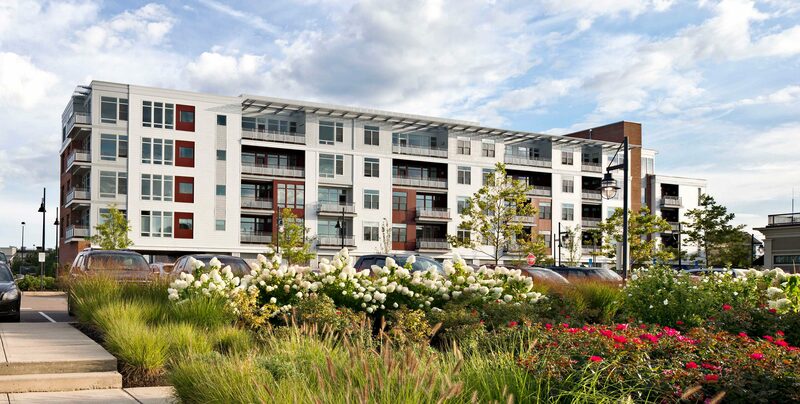 As part of the redevelopment of what was once the site of World War II naval shipbuilding, the Moorings at Hingham Shipyard offers the best of what mixed-use development can provide. 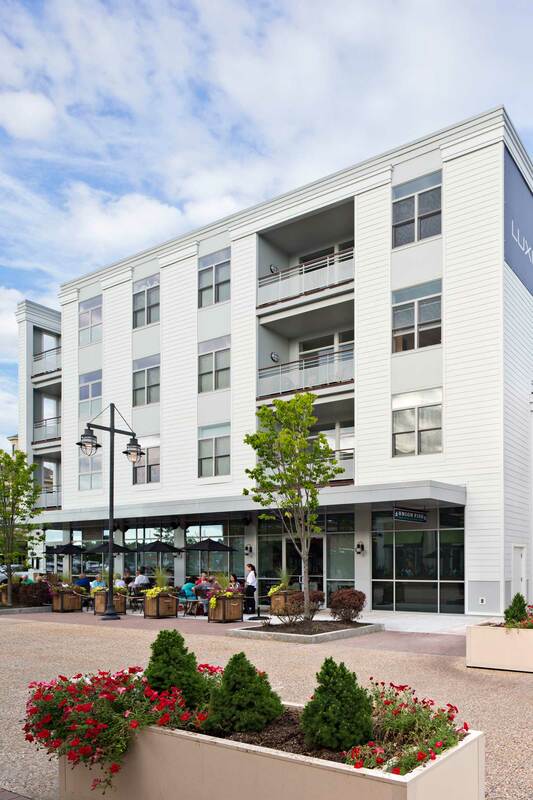 Anchoring the 1.2 million square foot Hingham Shipyard community, this condominium project integrates shopping, dining, entertainment, recreation, and luxury living with a celebration of naval history. 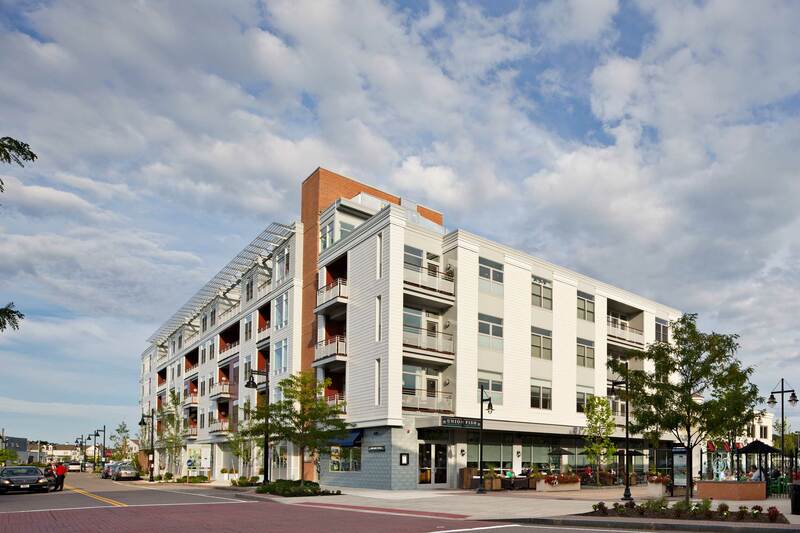 Building materials pay homage to the metal-plated hulls of naval warships, the clapboard hulls and mahogany trim of old sailboats, and the brickwork of former industrial buildings. 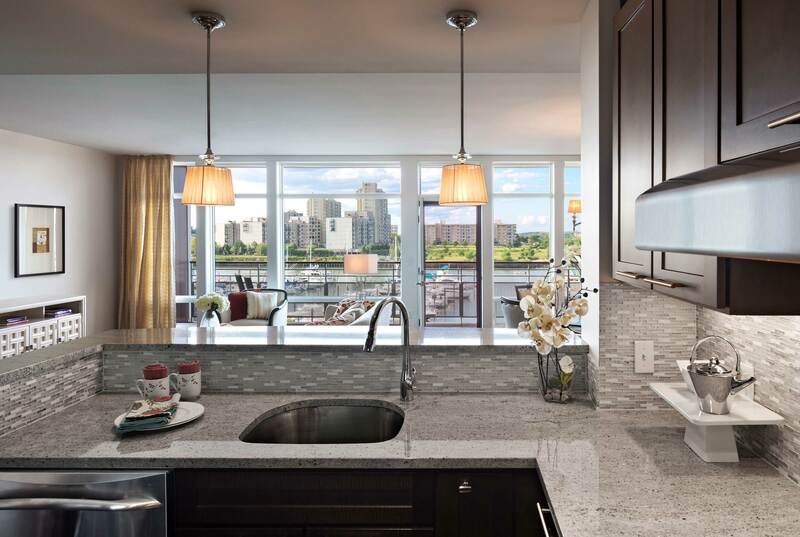 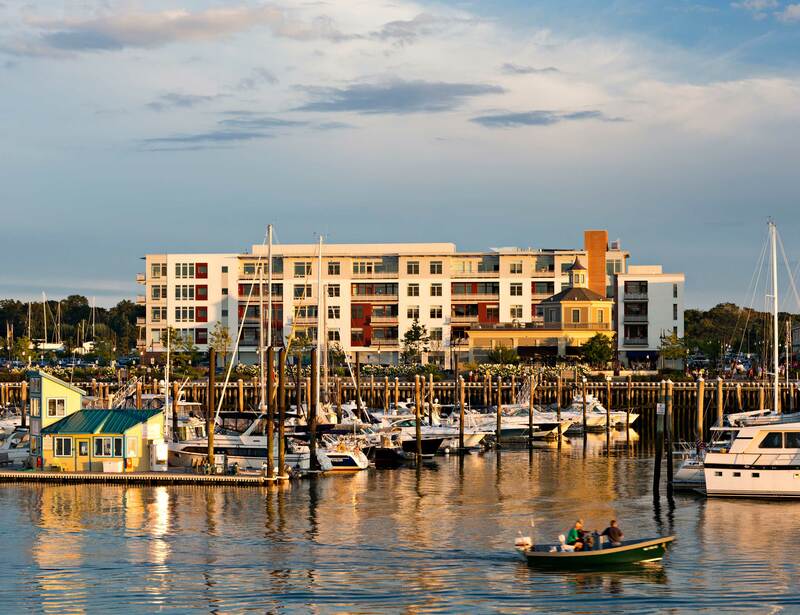 The building’s single-loaded corridor configuration connects each living unit to the harbor, offering breathtaking views to the water, boats, and sunsets over the shipyard.